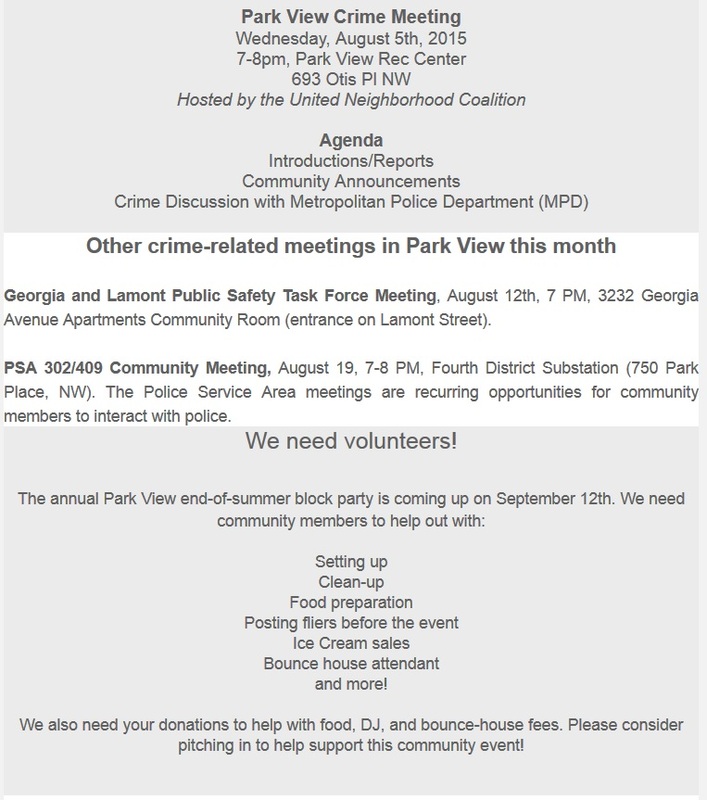 Recent Crime Focus of Tonight’s Park View UNC Meeting | Park View, D.C. This entry was posted on August 5, 2015 at 7:01 am and is filed under Community Involvement, Community Meetings, Crime, Public Safety. You can subscribe via RSS 2.0 feed to this post's comments. Let’s see some leadership from our councilmemner. Enough talk. I need to see some results. I wish the police or rec staff would crack down on the nightly pot smoking at the rec center shelters.